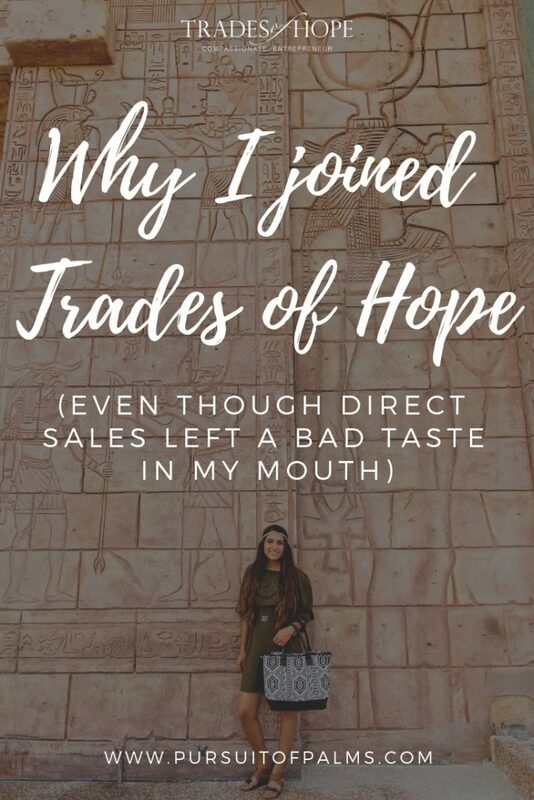 Today is my 2 year anniversary of jumping into the Direct Sales world, so I thought it would be appropriate to share why I decided to leave my previous company (that I was making a decent income from) and join Trades of Hope! I just want to put a disclaimer in here that I am in no way mad at or bashing my previous company. I’m not going to name the company out of respect, but those of you that know us personally know what it is! I love that company; Luke and I still take the products daily. They have truly changed our health for the better, including helping Luke with his Chron’s Disease. Becoming part of that company taught us a lot, including giving us a glimpse into what it’s like to run our own business. We were not lying or being misleading by promoting that company… we truly think everyone should be taking those products!! Okay, so on to why I switched. 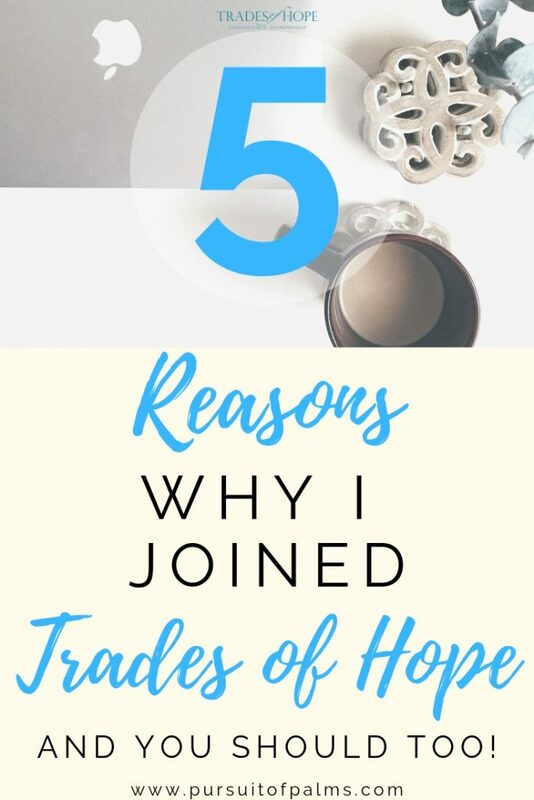 I’m going to try to keep this short, so I will highlight some of my favorite things about Trades of Hope and why they made me want to switch! Note: Trade of Hope consultants are called Compassionate Entrepreneurs. I also have a Youtube Video with similar info. if you’d like to watch that as well! Trades of Hope let’s me use my passion for world change that a lot of millennials (and non-millennials) have. (I’ll write more on why TOH is perfect for Millennials in another blog post one day…) Even though it is a Direct Sales company (Millennials don’t seem as into direct sales/home parties) this one is different. I’m not a party person, but the mission behind this business and my passion for it outweighs my hesitations. Although I am going out of my comfort zone by hosting parties, I’m not as scared to go out of my comfort zone because of the purpose. One thing that is always on the forefront of my mind is that if I don’t work my business, I’m not only failing myself, but I’m failing the artisans, my sisters and brothers, around the world. We are in a dignified partnership and I have a responsibility to them. They’re working their business by creating these handmade products, so I must do them justice by continuing to market their products! I’ve made more of a difference in these past 6 months than I ever have. I love that through this business, even the smallest purchase makes a difference, because there is a ripple effect. Even just purchasing my kit and beginning the business made a huge impact! Due to income from it I’m able to (and Luke allows me to haha) work this business more than if it was just a charity/notforprofit where I wasn’t being paid for my work. It’s necessary for me to make an income, that’s just life..this allows me to make an income and an impact. My sponsor gave me the example that there are ladies out there that have a heart for missions and helping people, but if they work with an organization that is volunteer-only, they’ll only able to help out for a couple hours on the weekends. That’s great, they’re making a difference! But, through Trades of Hope, Compassionate Entrepreneurs can work it as much or as little as they want, and EVERYTHING they do is making a difference. Some ladies do work it part-time, while others are working it full-time. 3. TOH is different… in a good way! I was passionate about my last company but also felt shameful because of making money, earning trips, cars, etc. I knew that the previous company I was in was helping people and changing their lives by changing their health, but a lot of the motivation that is pushed through the company is the potential to go on big, flashy, expensive trips that you earn, and really nice cars if you reach a certain rank! There was even the potential to earn TWO brand new cars. Of course, Luke and I loved the idea of going on trips and yes, we were enticed at the idea of a new car. We drive around a 1992 Honda Accord Stationwagon, it serves us well but of course we would like something new in the next couple years. The problem was, this company was making us think and envy in ways that we were trying to push against at the same time! We like to travel on a budget, not take super expensive vacations. We are perfectly fine with a used vehicle, and think brand new cars are wasteful. We were shifting our mindset toward minimalism and against consumerism, but also working toward some of those things through the goals set with the company. That felt wrong to me! Our plan was that once we had a decent income from it, of course we would be taking missions trips, giving money to causes, etc. BUT we couldn’t do that until we were making a livable income ourselves. 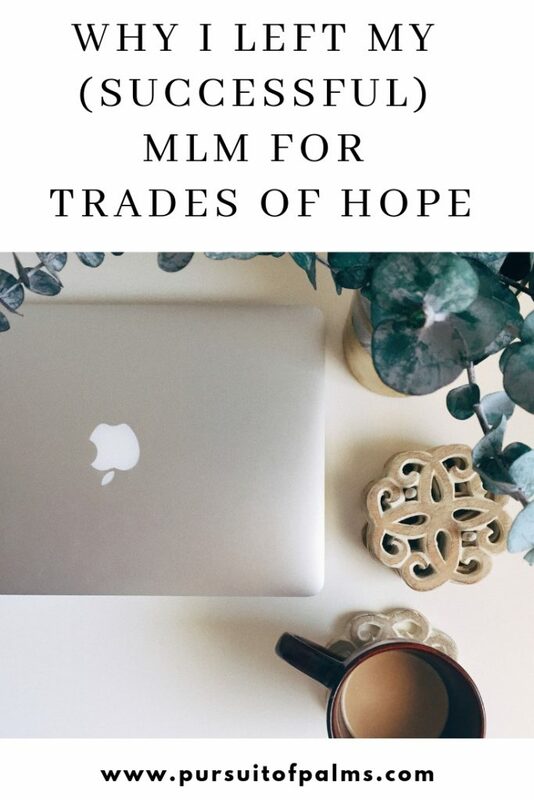 Something that I love about Trades of Hope is that even though you are earning an income through your sales, they do NOT have car giveaways, nor do they have fancy vacations. That might turn some of you off to it, and that’s fine, but it was what made me LOVE it even more. The goals we are trying to reach through Trades of Hope involve (just a few examples) giving chicks to families in Africa, giving a bike to a girl in Cambodia, giving a waterwheel to a woman in India, and more. They’re all sustainable gifts, that you as a Compassionate Entrepreneur get to earn and Trades of Hope will donate in your honor. That’s awesome! One more thing: you can earn (by reaching certain goals throughout the year) trips through Trades of Hope, but they are trips to visit our artisans! You can pay your way either by spending money out of your own pocket, or go for “free” by getting enough commission to go, but Trades of Hope does not pay your way. That also might bother some of you, but I like that Trades of Hope isn’t putting their money into fancy trips for us CEs, instead we are paying our own way. 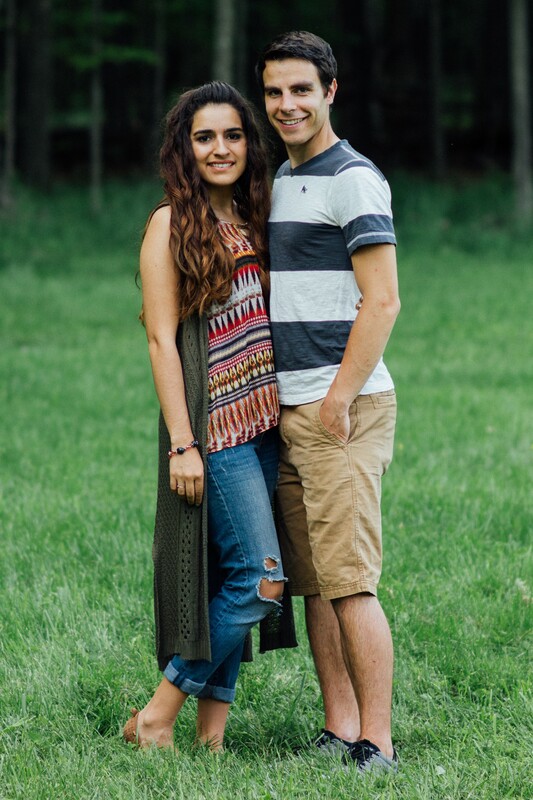 Going along with the previous reason, Luke and I knew the potential with the last company, and wanted everyone we knew to be taking the products! We genuinely wanted to help people and see their lives change like ours did, but obviously that’s not realistic. People are skeptical, and even the ones who were kinda interested were turned off by the price. Part of our job was having to convince people to change their priorities to their health over getting their nails done, etc. just so people could have the money to afford the products. Also, Luke and I of all people know what it’s like to be broke and not have the money for extra things like vitamins! We were able to see the value in putting our money into our health, but it’s hard for everyone to see that. Something that made the previous company more of a “residual” income was that an option to buy and get a discount was to become a monthly subscriber! Yeah, that’s good for the people working the business because they have a guaranteed income every month, but I know how hard it can be to commit to that. I like that with Trades of Hope, it is a one-time purchase. Yes, I have to have a larger customer base to make the same amount I was making through my previous company with fewer customers, but I don’t mind! 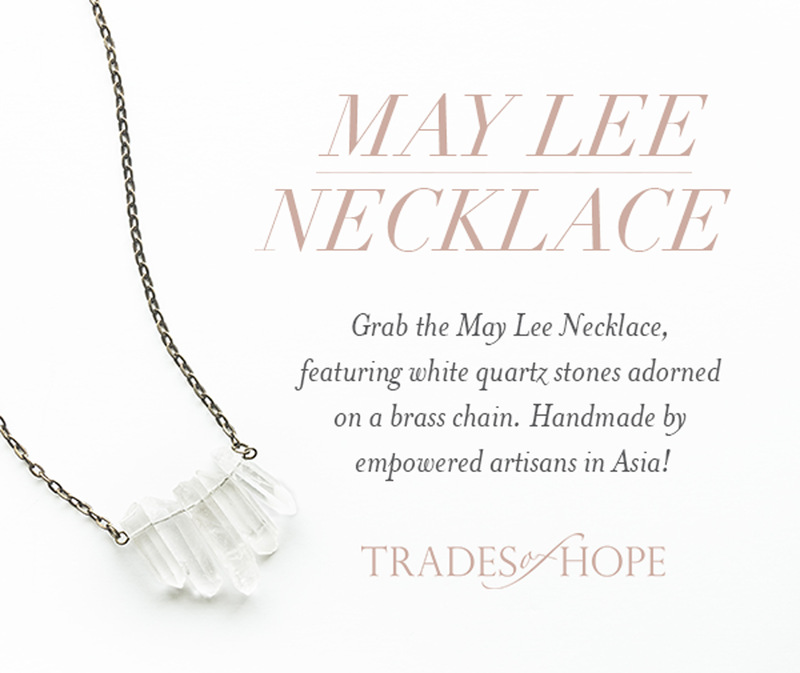 I WANT to spread the word about TOH, it’s amazing mission, and the artisans! The more people who hear about the global poverty crisis, human trafficking, etc. the more WORLD CHANGE will happen! I have absolutely NO SHAME in sharing this company, I’m actually PROUD to share! Because this is a PEOPLE-FIRST company, they encourage us to NOT spam people with invites and info., which just shows how amazing and genuine the company is. Technically, you can support this cause for FREE and make a HUGE impact by hosting a party!! Okay, the last thing that I want to talk about (although there are a thousand other reasons!) is that I can work this at my own pace and schedule! I can work it from anywhere as well. I’m not pressured to work the business a certain way either. I told my sponsor when we sat down for coffee and talked about me joining that I wasn’t sure if I wanted to host parties at all. She said I can do whatever I want! My plan was to just promote the company through our Instagram and Blog, but of course as time has gone on I’ve come up with more ideas (a Facebook Group and Youtube videos) and… I’VE DONE PARTIES. Yes, I was shocked too. BUT, my passion got bigger and bigger and I couldn’t NOT do parties for people that were asking to host. I moved across the country so I’ve been focusing on Facebook parties and book parties vs. home parties for now. Our kit comes with Cue Cards that help IMMENSELY and when I saw those for the first time, I knew I could do it. You don’t need a lot of inventory (in fact, they discourage us from having a lot so we don’t go broke…people-first business!! ), all of the info. you could ever need is sent to you, there is amazing training through the App (which is free and you can win prizes by completing the training!!! ), and there are Facebook groups that have info. and training (if you want it). I’m not saying that it doesn’t require work to do this business, but it certainly is easy. Something I didn’t like in my last company was the pressure to sign people up. Trades of Hope does NOT pressure us at all to do that. You can build a successful business through just sales and never even sponsor one person! Of course, I WANT to sponsor people, since the more Compassionate Entrepreneurs we have, the larger the marketplace we create and the more artisans we can take on! Well, there you have it. I tried to keep it short, but I get passionate and excited sometimes and just have to share! Do any of these reasons resonate with you? Check out my blog post on how easy it is to become a Compassionate Entrepreneur for more details on joining, and send me an email at tawnyandluke@pursuitofpalms.com so we can talk about how you can get started! Luke and I are both wearing Trades of Hope accessories here! His scarf, my necklace, and my earrings. 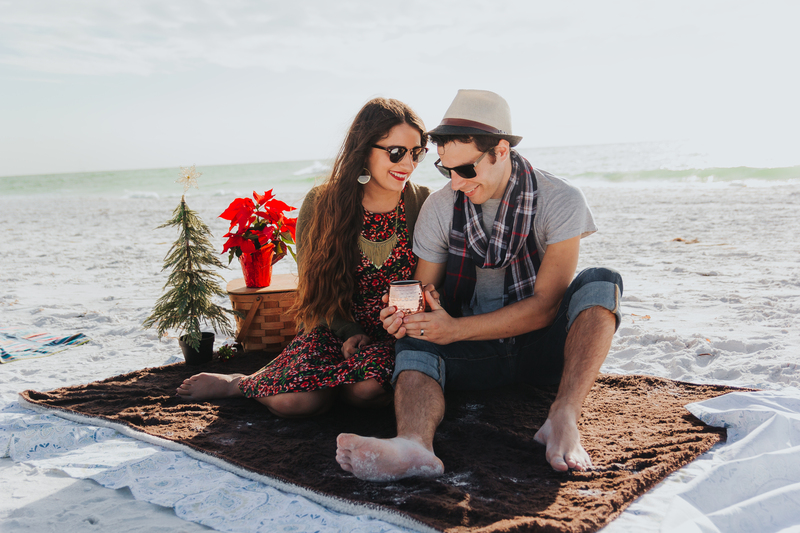 I love that promoting the jewelry gives me a chance to be creative and put together cute outfits to take photos of!